MAY 2008 -- The National Junior Grange Program this year is “Reading Across America.” The goal is to read one book, one magazine, one newspaper, and one food product label such as a box of cereal, canned soup, or candy bar wrapper. Bring all four of the above to your Junior Grange meeting. This could be all at once or as you read them. Then share one thing you liked or learned about what you read. The goal is to appreciate the many different ways we read and why it is important to read. 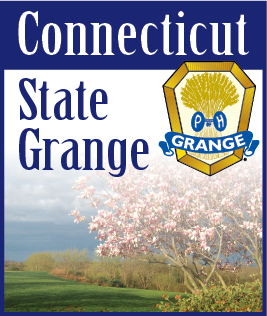 Juniors that complete the project will receive a certificate and a special Junior Grange bookmark. You may also enter the National Junior Grange Creative Art Contest by drawing a scene from your favorite book. It must be drawn on 8-1/2 x11 paper. You may use anything you want to draw with such as crayons, markers or paints. These contests are for all Junior Grange members. Hope to see you at Celebration Day. The Junior committee will be providing lunch that day.